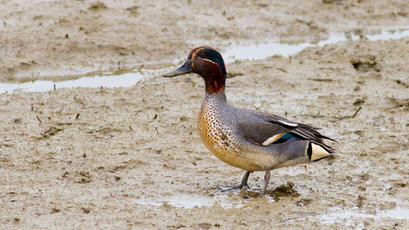 Our smallest duck (only Garganey approches Teal in size). Male's chestnut and green head looks all dark at distance. 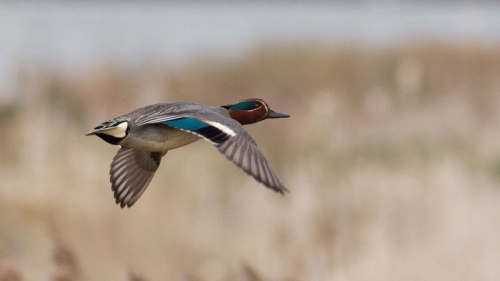 Green and black speculum and white wing bar in flight. They are thinly distributed as a breeding species with a preference for northern moors and mires. 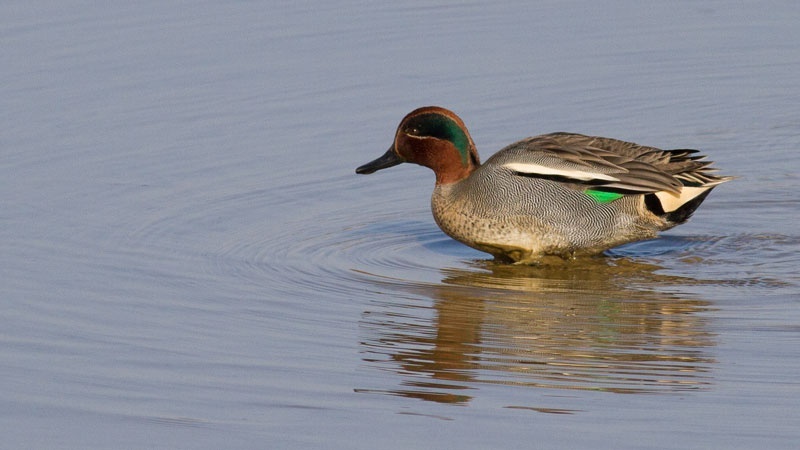 In winter birds congregate in low-lying wetlands in the south and west of the UK, boosted by immigrants from around the Baltic and Siberia. 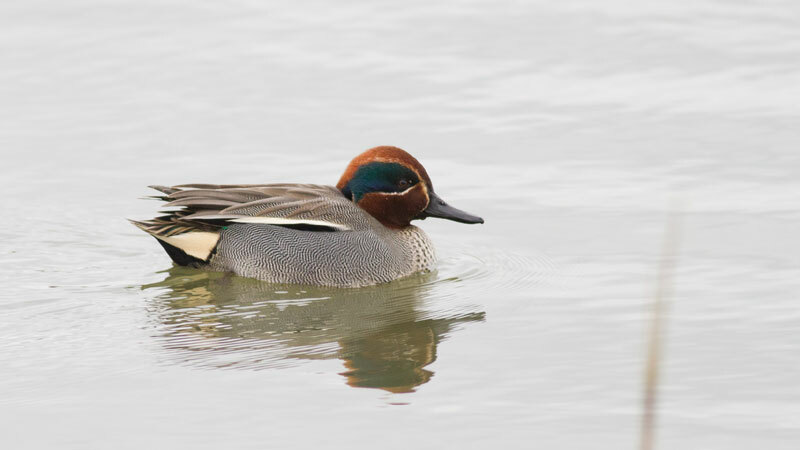 At this time, the UK is home to a significant percentage of the north-western European wintering population making it an Amber List species. Best looked for in winter on wetlands, both coastal and inland. 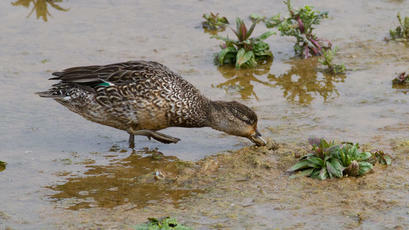 All year round, but more plentiful in winter. 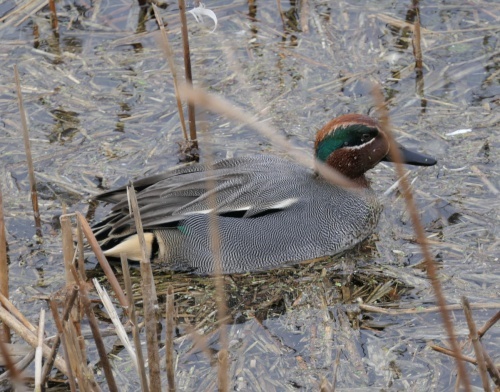 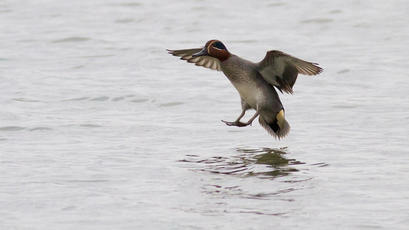 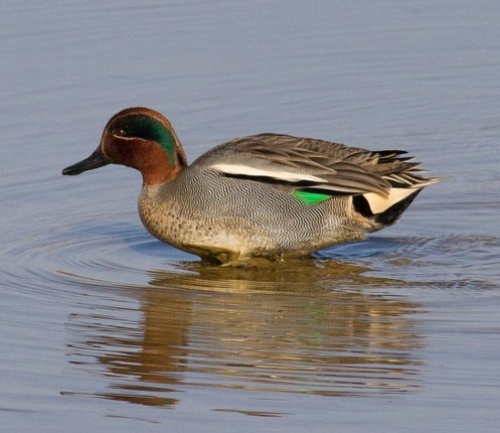 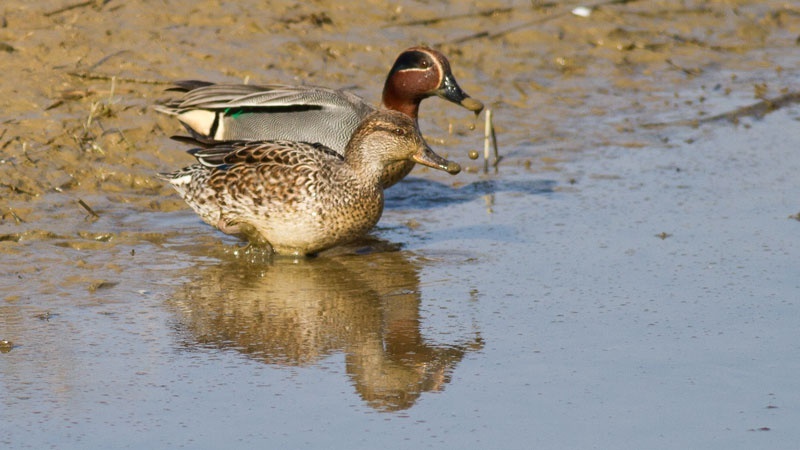 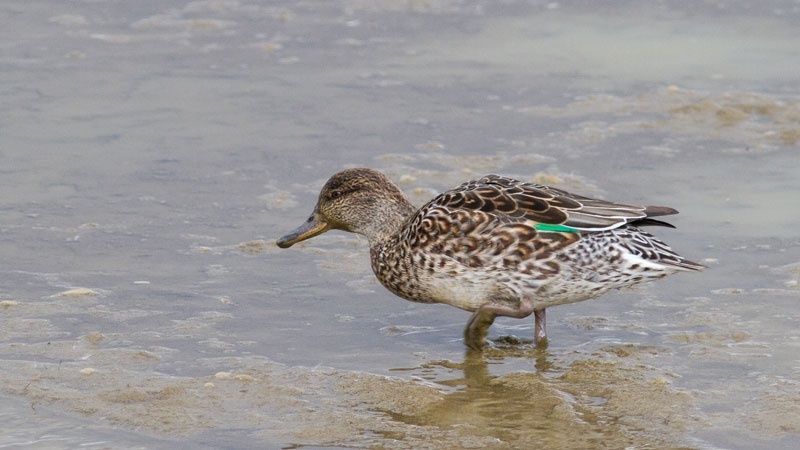 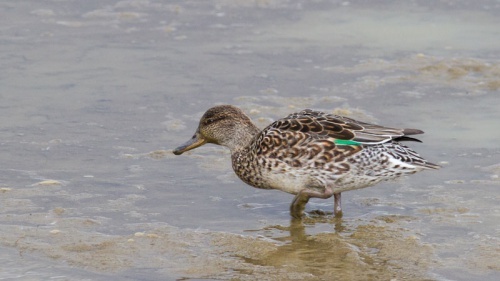 The Teal usually feeds by dabbling, upending or grazing and on occasion even dive to reach food. 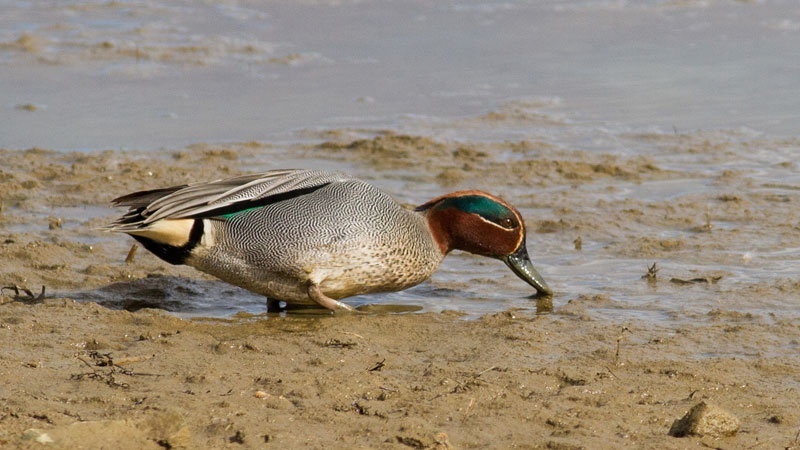 It nests on the ground, near water and under cover. 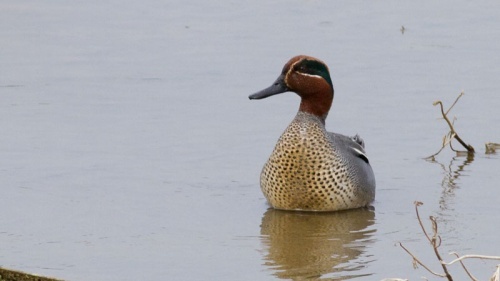 A common winter visitor and bird of passage in Leicestershire and Rutland, though rarely breeding here.